Turn of the century Germany... Through a fine autumn rain, a plume of smoke announces the arrival of the 4:15 train from Nuremberg in the Munich Central Station. The din of the massive engine grows more intense, culminating with a prolonged hiss as the locomotive halts at the platform, steam erupting in every direction. Already, porters in livery are rushing to unload baggage as passengers step from their cars. On the opposite platform, an operator pulls the cord for a three-chime whistle and another train begins chugging toward its next destination: Berlin, capital of the German empire. 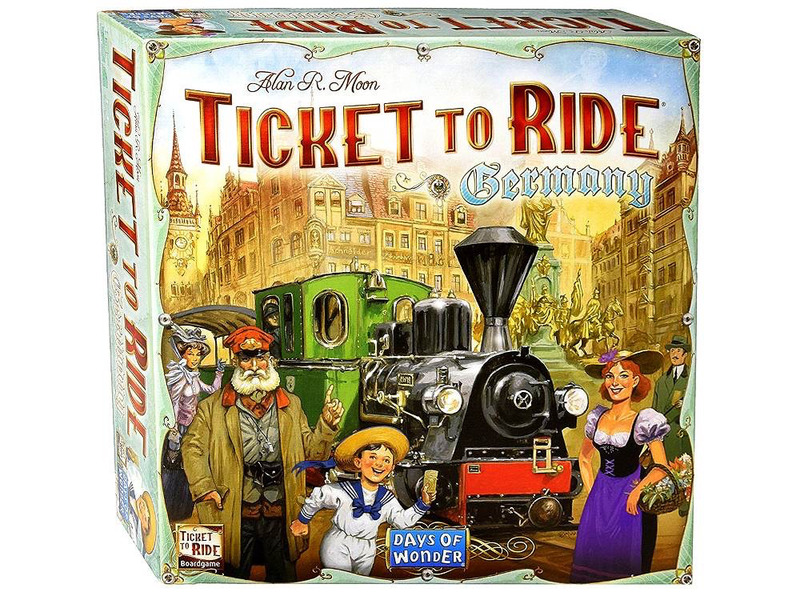 In Ticket to Ride Germany, build your own rail network to connect cities listed on your Destination Tickets. Watch out for your opponents who might be trying to reach the same far-flung corners of the German empire and outwit them by collecting valuable Passenger Meeples from the cities faster than they can. As with all installments in the Ticket to Ride series, this game can be learned in 5 minutes and provides hours of fun for families and experienced gamers alike. Hop on board! Ticket to Ride Germany is a complete, new game that does not require the original version and is guaranteed to offer you hours of enjoyment.